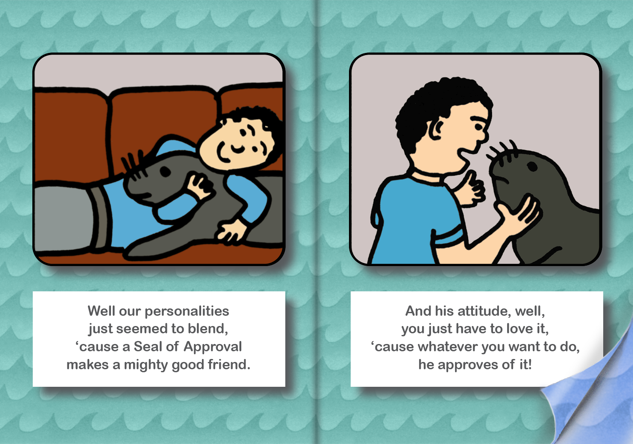 Stanley The Seal Of Approval® is available on Amazon.com for Kindle Devices and Apps. He offers great advice, high-fives, mellow companionship and unconditional love. But of course he does. 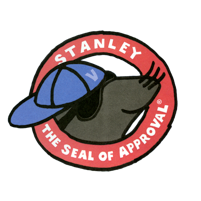 He’s Stanley, The Seal Of Approval®. 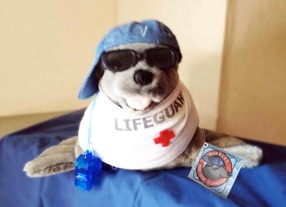 Comes complete with sunglasses, cap, working whistle and custom LIFEGUARD t-shirt.